I’m so glad that you’re a survivor. That you have survived. Congratulations on the nomination and the leaving. I know how hard it can be as I have had people I know in the same situation. Prayers for you and your son! Reblogged this on Free from abuse. Thank you… I was definitely surprised by the nomination! I admire your honesty and perseverance. Nice to meet you. Blogging is very therapeutic. I like to think that my honesty helps myself and others recover from an abusive relationship. Thank you for stopping by, and showing your support! I admire your strength and resolve. I grew up in a home with domestic violence so it’s a cause for me also. It still amazes me how many families are dealing with or have dealt with domestic violence! Thank you for sharing,and showing your support! Congratulations! What you’re doing matters. Keep it up! Thank you… I’m glad I’ve been receiving a positive response! Amazing! I’m a survivor as well. My ex-husband didn’t use his fists. He didn’t have to. He used words and alienation to abuse me until I became unrecognizable. Many, MANY, blessings to you!!! Congrats Prego! And thank you for nominating me! Wow, a fantastic blog, and clearly one that so many other people resonate with. Something I can only hope for with my own words. Congrats of the award and well done on ‘speaking out’ – I look forward to more posts. Cheers! Listen to your audience, and speak from the heart to create a successful following and more importantly valuable friendships in the blogging community. I greatly appreciate you stopping by, and taking a bit of time to read my blog. Thank you for your support! Congrats on the well deserved award. Wear it with pride. And thanks for the new blogs to follow — there’s some great ones on your list for sure. Thank you so much for your kind words! I’m just happy knowing that someone is actually out there reading and following my blog! I love blogging, but sometimes find it difficult with my little one running around! Your blog leaves me speechless. Probably anything I can comment on your posts has already been said. Have my Love and support! Enjoy! Knowing that one more supportive person is out there puts a smile on my face. Thank you for taking the time to leave a comment! Congrats on the award! And thanks for following my blog! Thanks, and I look forward to reading more of your blog! I loved learning a titch more about you here, girl. Thanks… I enjoyed sharing a bit about myself, and I look forward to reading what my nominations choose to write! 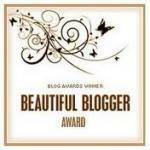 I’m finding out that the blogging world has a very supportive community! Thanks for stopping by my blog. Your blog is powerful and amazing. You are powerful and amazing. You deserve the award, congratulations! Wow… I need never think of myself as powerful or amazing, thanks!! Thank you… blogging is a gateway to interact and learn from one another! I love your positive outlook on life, and look forward to following your blog! Congratulations on the nomination…see the difference a week can make, imagine a year. I hope that by this time next year you are free, happy, healthy and living life the way you want to. I appreciate you stopping by my blog and reading my posts! Will be a regular reader of yours! Life moves so quickly sometimes we need someone to help us slow down and smell the roses. You made an excellent point, and it truly put things into perspective for me. Thank you for your support, and I look forward to interacting along the way!